Based in New York, Shen Yun Performing Arts is the world's premier classical Chinese dance and music company. 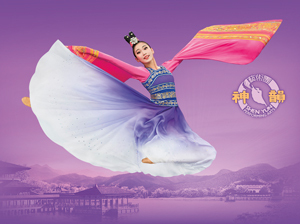 Shen Yun invites you to travel back to the magical world of ancient China. Experience a lost culture through the breathtaking art of classical Chinese dance, and see legends come to life. Shen Yun pushes the boundaries of the performing arts to make this possible, with a unique blend of colorful costuming, high-tech backdrops, and live orchestra. Be prepared for a theater experience like no other. Presented by the Falun Dafa Association of Australia, Queensland Branch Inc. Not recommended for children under 5 years of age.